EXPERTS SAY IF YOU DON’T WANT YOUR WEEKEND COOKOUT TO MAKE PEOPLE SICK, YOU HAVE TO PLAN AHEAD FOR SAFETY. School lunches are becoming more nutritous and the same should be done for those packing their kids’ lunches. Rep. Diane Black, TN-6th, met with area Farm Bureau leaders in Lebanon to discuss ag and rural issues during the August recess of Congress. TDA Commissioner Julius Johnson discusses the advancements in technology and how its impacting farmers and agriculture. 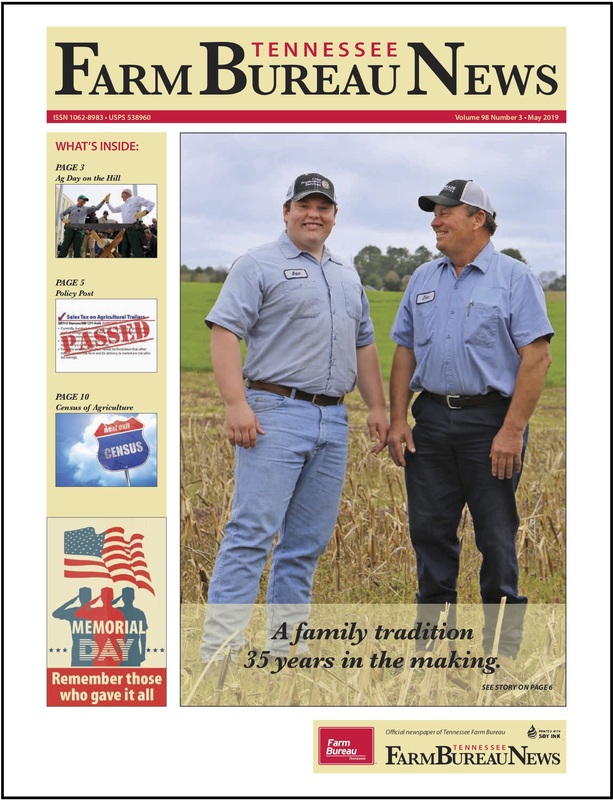 The Farmers’ Almanac has realeased its new 2015 edition and with it another cold winter forecast. Tennessee’s corn harvest is off to a slow start compared to the 5-year average, but yield prospects are looking really good for some. The House of Representatives voted this week in favor of H.R. 5078 the Waters of the United States Regulatory Overreach Protection Act of 2014. State lawmakers competed in the annual Legislative Showmanship at the Tenn. State Fair. Fortunately for beef producers the dreaded and expected consumer “push-back” due to high prices has not materialized. TENNESSEE STATE UNIVERSITY HELD GRAND OPENING CEREMONIES FOR THREE NEW BUILDINGS, INCLUDING THE CENTERPIECE, AN 8 MILLION DOLLAR BIOTECH FACILITY. There’s still a lack of coverage in many rural areas for broadband access and that’s critical for future success for farmers & ranchers. PRODUCERS ACROSS THE U.S. SEEM VERY INTERESTED IN UDSA’S NEW AGRICULTURAL CONSERVATION EASEMENT PROGRAMS, BASED ON THE APPLICATIONS FOR INITIAL SIGNUP. The Wright Pumpkin Farm in Obion County had a bumper crop this year and they offer decorating services for your home or business. 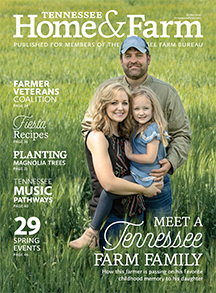 MICHAEL AND AMY SHIRLEY OF RUTHERFORD COUNTY HAVE BEEN NAMED THE TENN. FARM BUREAU’S EXCELLENCE IN AGRICULTURE AWARD WINNERS.